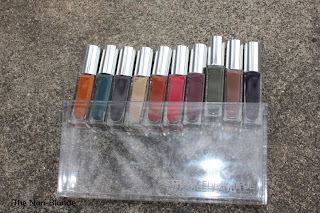 After mentioning StrangeBeautiful Color Volume No.3 last week (in a comparison swatch for Chanel April) I got a few requests to show and tell a little more. The veins of green mold running through Roquefort, the artist Sean Scully, the rich black olive green color of Loden cloth, aged Armagnac, the dull brown red of Redrope files, the saturated rusty iron color of an Irish bog caused by the reaction between tannin, wood and iron, Raymond Loewy, the belly of a pigeon, and the dreadfully wonderful dirty almond color used on kitchen appliances. Here you can see the first five. Most are dark, intense and quite dramatic. 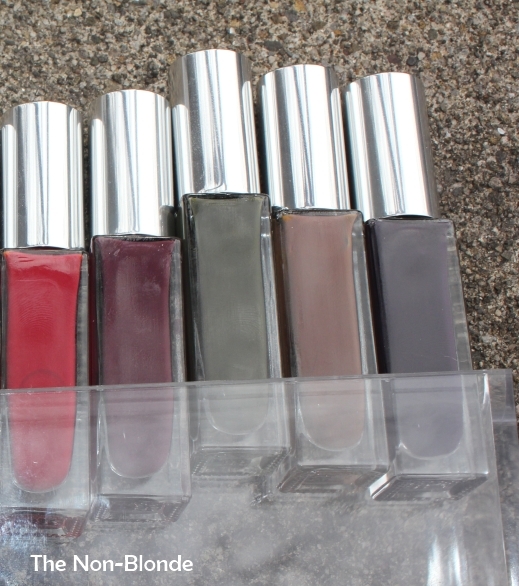 I adore the dark purple, but as you can see, all of them are nothing short of a fashion accessory. 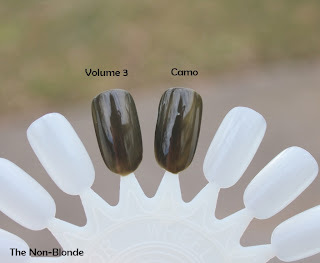 I was surprised, though, that the dark olive green is practically identical to one of the colors in StrangeBeautiful Camo Library. Other than that one I couldn't find other duplicates. Take note that the packaging of StrangeBeautiful has changed. 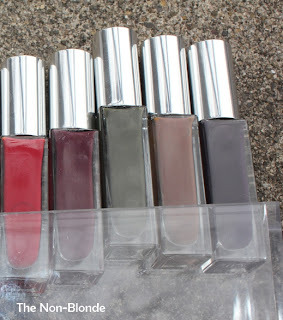 Older volumes held bigger bottles of eight colors. 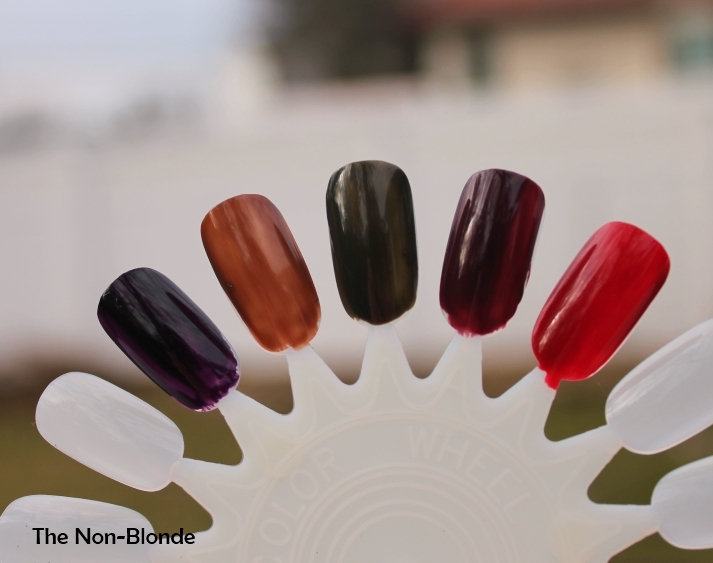 The current color volumes come in ten different shades but the bottles are a little taller and narrower. You end up getting the same amount of product- about 4 oz . StrangeBeautiful Color Volume No.3 ($85, a 10 piece set) is available from Luckyscent. I received the Dickensian volume as a Christmas gift, and it's a marvel of subtleties with textures that are very surprising (and very appealing). I've been thinking about getting the other volumes, I think I like Vol. 1 the most. I am a great fan of this line, and own and enjoy Vol 3. I will be getting the Dickensian, I'm sure, but will wait until it's no longer the middle of summer, as the colours just don't seem right for now.